The one hundred and thirty-ninth episode of the Yes Music Podcast, featuring my initial reactions to the extract of ‘The Game’ taken from the forthcoming album, Heaven and Earth. Is The Game in the same mould as Believe Again? Can we tell what the whole song is like from this extract? The one hundred and thirty-eighth episode of the Yes Music Podcast, featuring some thoughts about a 1980 bootleg recording from Madison Square Garden. Can Trevor Horn hold his own? How does Geoff Downes get on in his first stint with the band? Does the Drama material come over better than the ‘classic’ material? The one hundred and thirty seventh episode of the Yes Music Podcast, featuring a sneak peek at the first track on teh new studio album, Heaven and Earth. How did this track leak out? Does it bode well for the rest of the album? Seminal prog heroes YES have announced the UK release of their 21st studio album, ‘Heaven and Earth’, available on CD and download from 21st July through Frontiers Records. With a career spanning over four decades and over 40 million albums sold worldwide, YES’ trademark symphonic prog rock is still as current and fresher than ever. ‘Heaven and Earth’ features 8 new tracks, each boasting their unique sound and excellent musicianship. YES’ distinctive layered music, swirling arrangements, brilliant vocals and harmonies abound on this record, which is sure to please fans old and new. Heaven and Earth tracklisting: Believe Again; The Game; Step Beyond; To Ascend; In A World Of Our Own; Light Of The Ages; It Was All We Knew; Subway Walls. Multiple award winners YES formed in 1968 in England. Since its inception the band went on to create some of the finest, most legendary work in the history of prog and symphonic rock, including ‘The Yes Album’, ‘Fragile’, ‘Close To The Edge’, ‘Tales From Topographic Oceans’, ‘Relayer’ and ‘Going For The One’. Amongst their essential hits are ‘Roundabout’, ‘Owner of a Lonely Art’, ‘Starship Trooper’, ‘I’ve Seen All Good People’. YES continue to be a major source of inspiration for the genre and beyond, with a wide range of artists – from Dream Theatre to Earth Wind and Fire – citing them as influences. YES enrolled legendary Grammy Award winner Roy Thomas Baker (Queen, The Cars, Guns N’ Roses, Foreigner, Smashing Pumpkins, Alice Cooper) forproduction duties on Heaven and Earth. The album was mixed by Billy Sherwood (Toto, Paul Rodgers, Air Supply). The artwork is once again the creation of world-renowned artist Roger Dean. Episode 136 – Epic fail – or not? 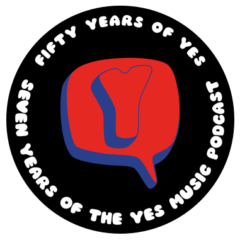 The one hundred and thirty sixth episode of the Yes Music Podcast, featuring some brief thoughts about the concept of ‘epic’ tracks in Yes music and elsewhere. What makes a track epic? Are long tracks necessarily good tracks? Should we wish for epic tracks on new Yes albums? Author KevinPosted on May 30, 2014 October 12, 2016 Categories Episodes, YMP Classic Feed2 Comments on Episode 136 – Epic fail – or not?